If you love to explore the past, you will definitely love Morocco! As the closest African nation to Europe, numerous peoples and nations have travelled through these lands over the centuries, many of whom have left lasting legacies that can still be enjoyed by travellers today. Close to the Imperial City of Meknes is Volubilis, a part-excavated Roman site that is thought to have once been the capital of the kingdom of Mauritania. It dates back to at least the 3rd century BC when it was founded as an ancient Berber settlement, before the Romans arrived. Many other civilisations have claimed the site over time including Carthaginians and Phoenicians, and there is evidence of Christian and Islamic settlers too. Anyone visiting the impressive ruins today will be able to see columns, archways, mosaics and even ancient bath chambers. 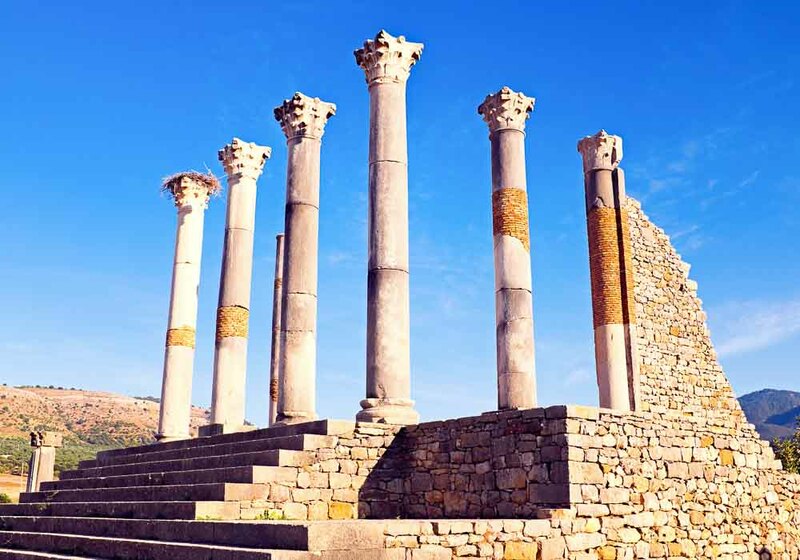 Volubilis is open every day from sunrise to sunset. There is a small admission fee, and tour guides are also available to hire (and well worth it, too). Meknes itself has also been designated a UNESCO World Heritage Site, due to it being one of the Maghreb’s finest examples of a fortified town. Of particular significance are the 15m high ramparts which enclose the old city, and the way the historic monuments, fountains and general structure still represent the layout you would have seen in the 17th century. To get to Meknes, fly direct to Fez and then hire a taxi or take one of the regular buses that will take you the short distance to the city. 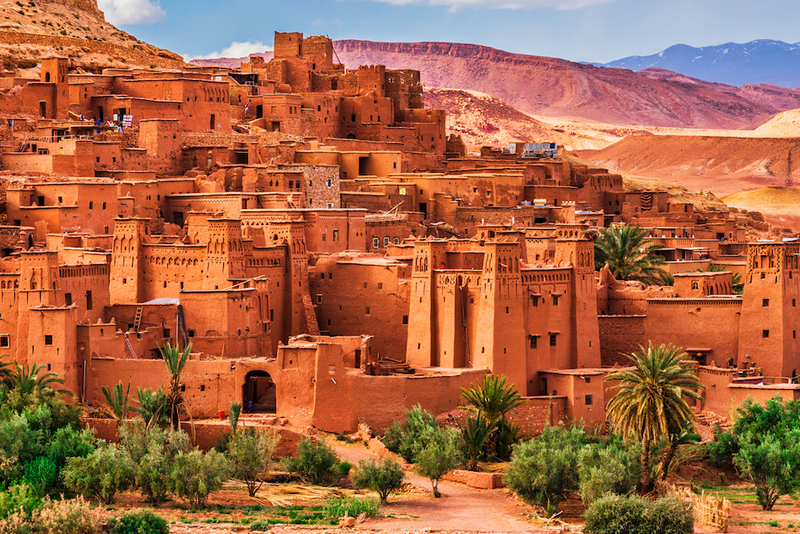 Star of a dozen Hollywood blockbusters, the Ksar of Ait-Ben-Haddou stands in the south of the kingdom, an impressive and photogenic collection of defensive buildings alongside the old caravan trading route that led out of the Sahara to Marrakech. The earthen built fortress dates back to the 17th century and was added to the UNESCO World Heritage list in 1987. Fez is famous as the best preserved example of a medieval city in the Arab world. Indeed, when you walk through one of the huge gates into the medina (old city) and find yourself walking through the narrow high walled streets, past ancient fondouks, mosques and fountains, it’s easy to imagine yourself transported back to the 13th century. Pay particular attention to the fine artisanal work and intricate mosaic craft that seem to be on every other building. While the medina of Essaouira is younger than many of its counterparts, it’s still a fascinating place to walk round. The city is a mix of Moroccan and European architecture, thanks to its history as a Portuguese port, and this can be seen in the 18th century fortified Medina, especially the well preserved ramparts which were built to protect it against pirates. Mazagan is another town on the Atlantic coast that has its roots in Portuguese architecture. 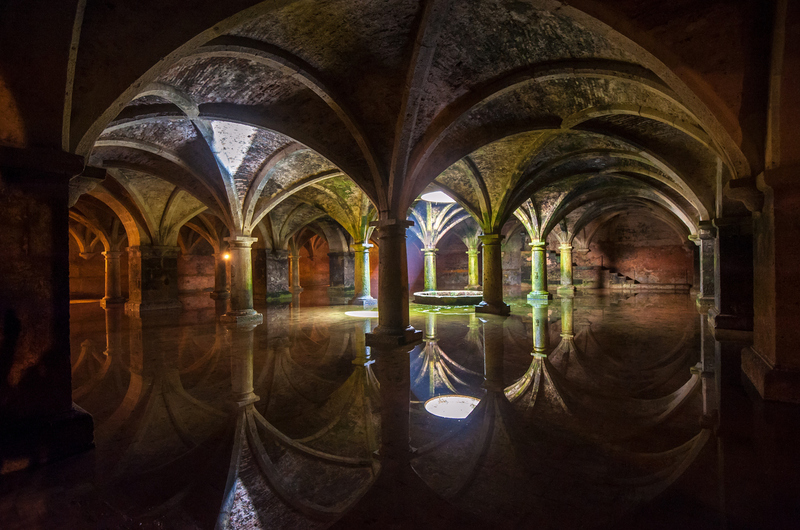 Built initially as a fortification by the Europeans to facilitate their travels from West Africa to India, it’s a pristine example of the cross-cultural exchanges between Morocco and the Iberians that occurred between the 16th and 18th century. Make sure you visit the ramparts and fortifications, along with hugely impressive Cistern, and the gothic Church of the Assumption. 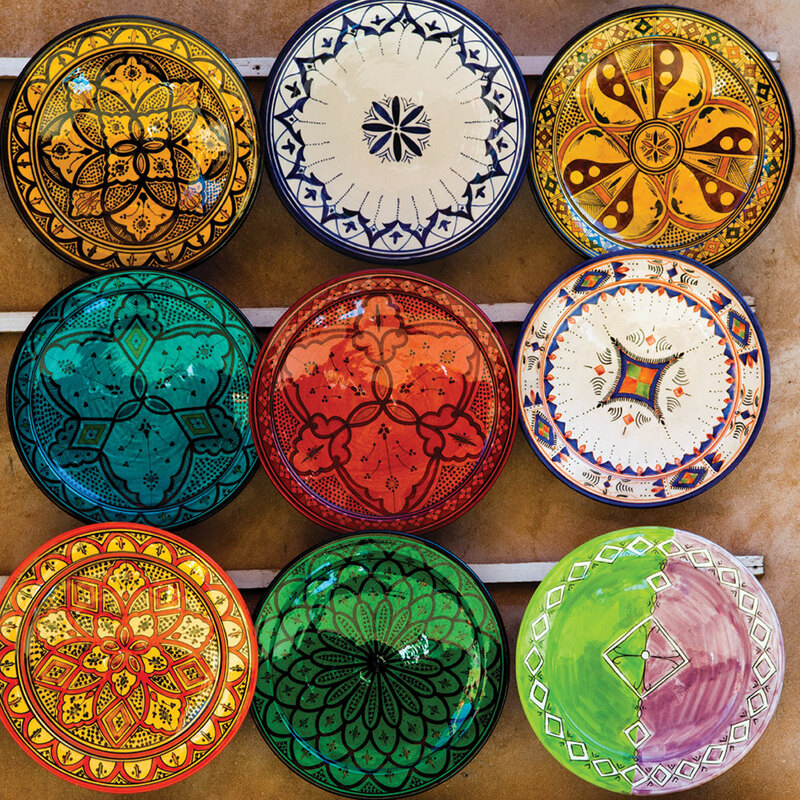 Marrakech is popular for so many things that it can be easy to overlook its historical side. Yet it is home to many of the kingdom’s finest examples of Islamic architecture, including the Saadian Tombs, the Bahia Palace and the Koutoubia Mosque. The tangled labyrinth of streets and the communities that exist there are described as a ‘stunning example of a living, historic Medina town’. 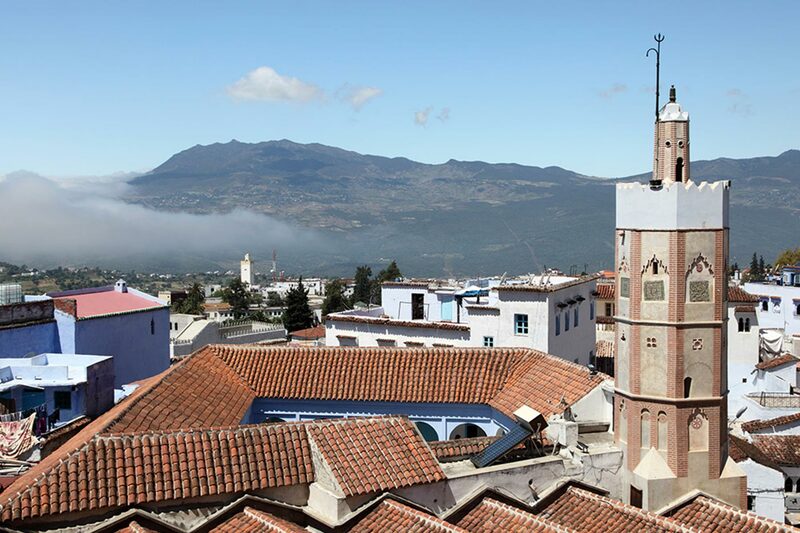 In the northern Rif mountains, Tetouan stands astride Andalusian and Moroccan cultures. This small town possesses one of the most intact medina walls in the kingdom, and the unique blend of Moroccan and Spanish influences seen in its architecture are well worth the short trip from Tangier. One of the “largest and most ambitious modern urban projects built in Africa in the 20th Century and probably the most complete.” This is how UNESCO describes Rabat. Older parts of the capital date back to the 12th century, however the modern side of the city has its roots in the first part of the 20th century when Morocco was a French Protectorate. This blend of cultures, and the various monuments to the Phoenicians, Romans, Almohads and Merenids who all owned the city at one stage, make Rabat a must-visit for anyone with a love of history.